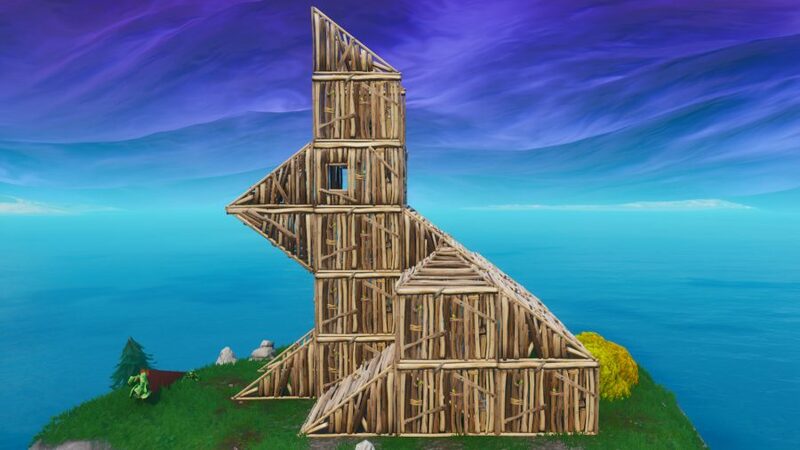 Where is the wooden rabbit in Fortnite? We’ve hunted other players, building materials, and zombies during our many hours with Epic’s battle royale game, but having to find a bunny made entirely out of bark is a new one for us. Anyway, we’re going to help you track it down to help you progress your season 8 Battle Pass. This is a free challenge, so you don’t technically need a Battle Pass to complete it, but you are missing out on an awful lot of cosmetic goodies if you don’t. Either way, there are a couple of other animals made out of all sorts of materials you need to find, so scroll down to links to our guides on finding those once you’re done here. So, let’s crack on with our quest to find the Fortnite wooden rabbit. You’ll be heading to the western side of the map to find this large, but somehow still rather cute, bouncy boi. Bringing a big wooden carrot is optional, but recommended. Anyway, here’s where you can find the wooden rabbit in Fortnite. We’re heading to the west side of the map for this week 6 challenge, so get ready to drop here. More specifically, you’re going to need to launch from the Battle Bus and dive between Snobby Shores and Haunted Hills. When you’re descending you should see the large frame of the wooden rabbit on a hill, this is the spot. If you need more help on finding the big brown chomper, we’ve made a map and screenshot below to show you exactly where you need to land to solve this free week 6 challenge. As you well know, this is one part of this challenge and there are two more big ol’ beasts to track down. So be sure to check out the video above which takes you through each stage. There we have it, that’s where to find the Fortnite wooden rabbit location. 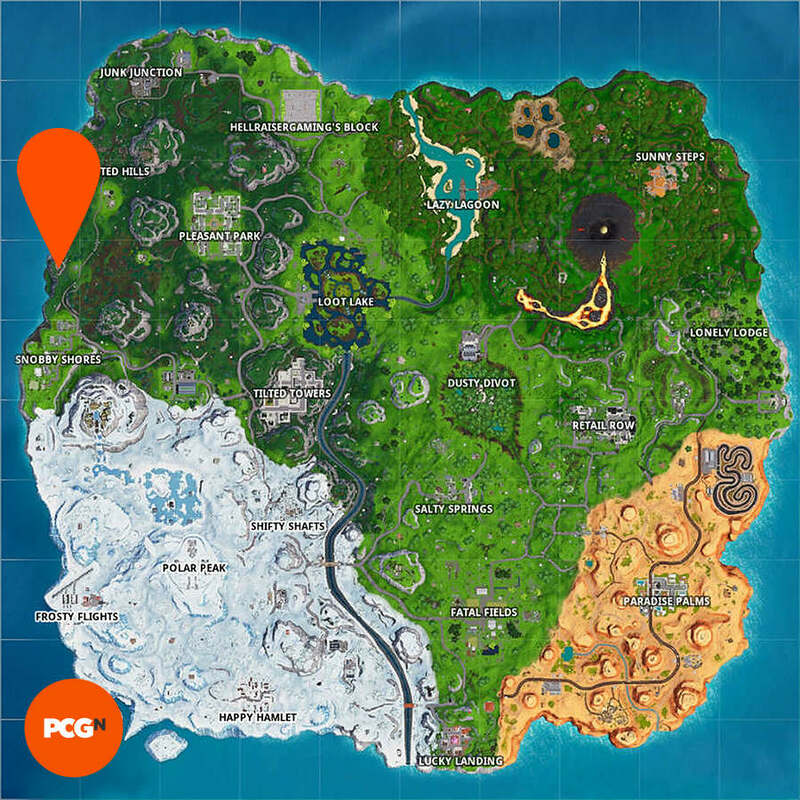 There are more week 6 guides where that came from, so be sure to search where the knife points on the treasure map loading screen in Fortnite and visit five of the Fortnite highest elevations. And, no, once you’ve completed the challenge, you can’t take the big rabbit home, sorry.